My first sing along puzzle Old McDonald's Farm. 12 piece floor puzzle. 60.96 x 45.72 cms. Manufactured by The Learning Journey. LEARN A FUN NEW SONG – Once the puzzle is completed, children insert the special sound module and a fun melody is played. 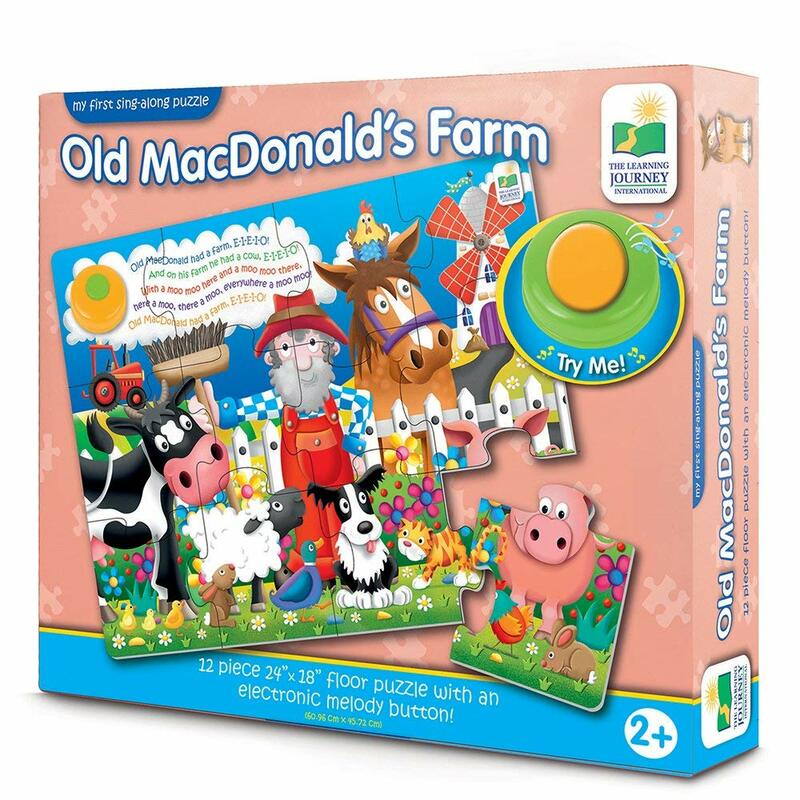 Children can sing along to the tune of Old MacDonald’s Farm and celebrate a job well done!